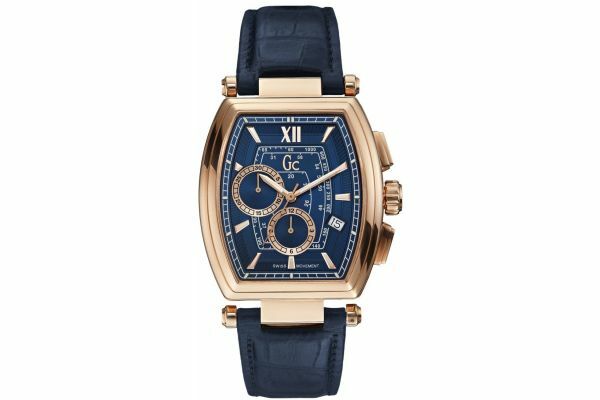 Men's GC Retro Class rose gold plated blue leather chronograph strap watch with a polished tonneau case. 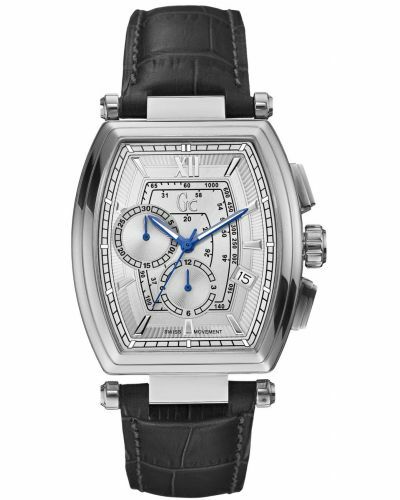 Has a dark blue dial with rose gold batons and hands, a date display window and chronograph sub dials. Features a deep blue crocodile patterned leather strap with a rose gold buckle. Powered by a Swiss quartz movement and comes with the GC 2 year guarantee.